Happy Tuesday, My Lovelies! 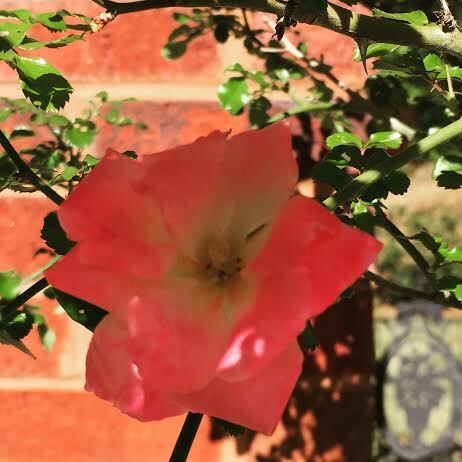 Are you enjoying spring so far? We are although we are very busy finishing-up Shelley's senior year. I don't know about you, but I can't wait to plant. I don't plant until after April 15th because I've lost so many plants in the past. But this year we'll have to put off planting for a week or two due to school activities. Sorry for the dark photo...this display is in a chop window. This might be my next craft. 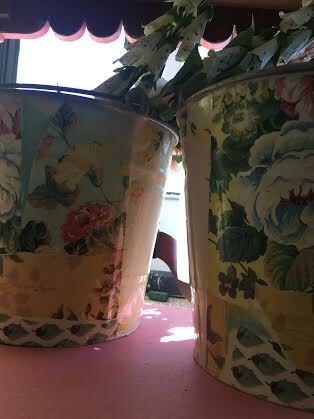 These are galvanized buckets decoupaged with vintage wallpaper scraps. I would love to blend wallpaper and pretty 7 Gypsies craft paper for a one of a kind floral container. French flower buckets would work well, too. Shakespeare wrote A Midsummer Night's Dream as a response to Romeo and Juliet's lukewarm reception. Shakespeare certainly had a sense of humor! This performance also looks like fun! I doubt the groundlings gave Shakespeare's Puck "the serpent's tongue." He knew how good this play was when he wrote it. It's a call for well-deserved applause and accolades. Your flowers are so pretty! I love those buckets too and have no doubt that you'll do something similar but even more amazing. Shelley studies the neatest things. I know you've loved every minute of it...even the hard times. Hi Ricki Jill besides the containers of Purple Pansies that grace our steps and walkway our planting of flowers will wait until May. In Philly after a tease of Spring it has turned cooler than it should be. Shelley has chosen wisely with Shakespeare, wishing you enjoyment in the busy days ahead. I know how busy you are! Love these roses. 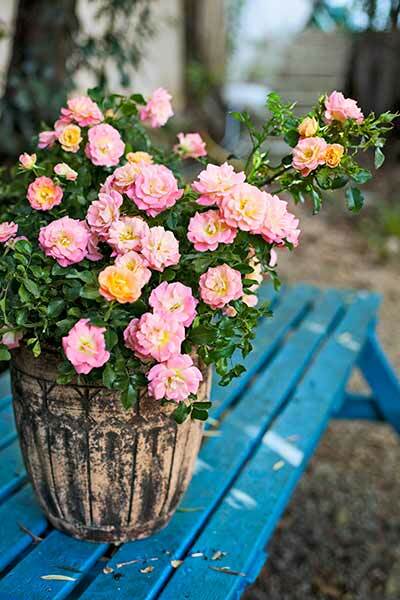 We are planning to plant some knock out roses in one of our flower beds. They do well here. Hugs! I am in love with that blue bench. I am thinking of painting an old garden seat we have and I was going to go with white. But now, I am rethinking it! Hey! You! Get Off of My Cloud!! !